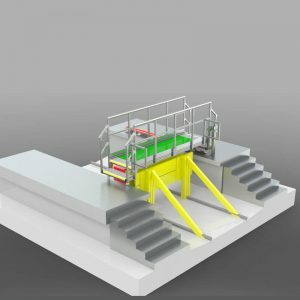 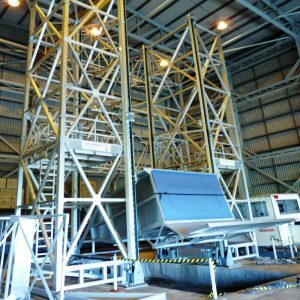 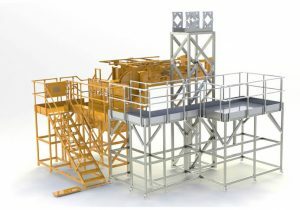 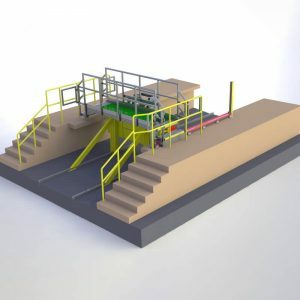 Boldman manufactures an almost unlimited variety of access platforms and aluminium work platforms on site in Bolton, UK. 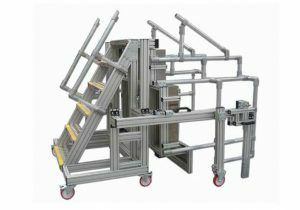 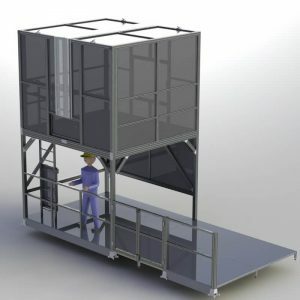 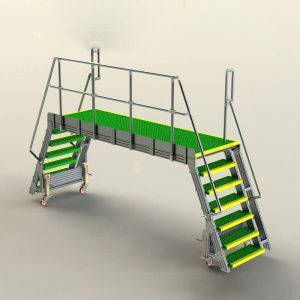 Built using our aluminium profile system, the work platforms range from simple, standardised podium steps all the way to fully bespoke and innovative platforms in response to customer needs. 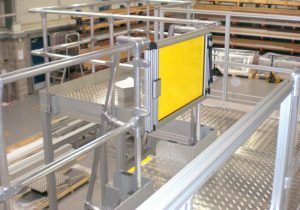 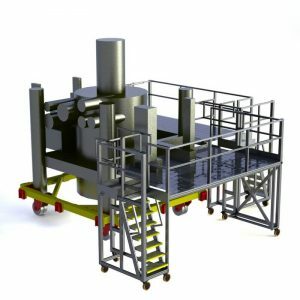 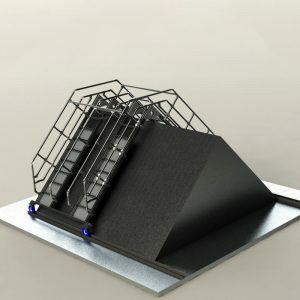 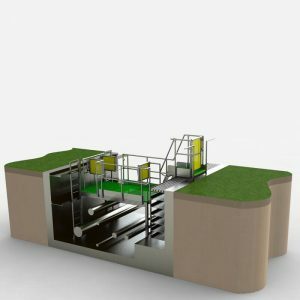 With many years experience in supplying bespoke access and working platform solutions to UK industry, we are continually developing new ideas. 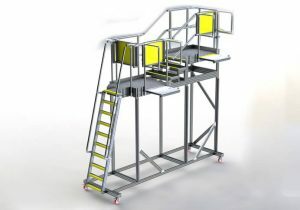 We do not have a standard range allowing us to be completely flexible. 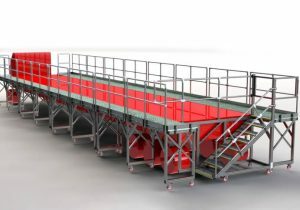 Our cost-effective working platforms can be any size or shape, mobile or fixed, indoor or outdoor, and retain their structure and appearance for years without maintenance. 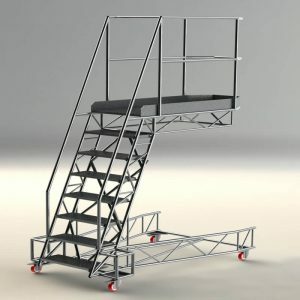 They are flexible, versatile and robust with options including different walking surfaces, handrails, toe-boards and castors. 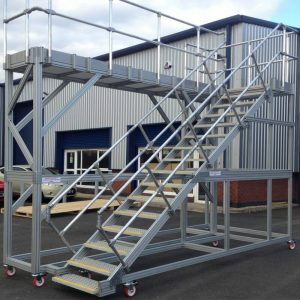 Health and safety is a major factor when working at height, and all our work platforms are fully compliant with stringent regulatory standards. 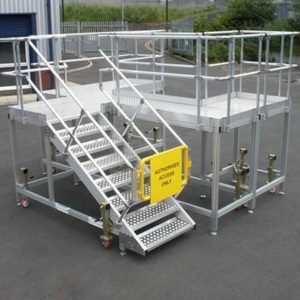 We have been keeping people safe at work for over a decade.